In this corner, i'd like to share a review about beauty skincare or makeup which i use currently. This corner's purpose is to share the result and comment after using up the products. I'm Asian and live in Indonesia which is tropical country. I have such an oily skin face. Remembered, i've had it since i was in my college. It was started by unhealthy habit that i did carelessly. Drank too much coffee, slept over time, skip the beauty sleep hour, faced-off the sunlight and pollution, and forgot to wash my face sometimes (they didn't have any micellar water before) have made my face has an acnes. Oh gosh, i hate it so much! Please forgive me, my skin! That's why, now i super consider the best thing for my healthy skin and makeup. So. . I've used up Loreal Micellar Water for sensitive skin. And. .My comments after used up are. .
1. This micellar water is good enough for my skin, it's so refreshing. 5. The price is affordable, around 100k rupiahs. Here we are, the second product. . 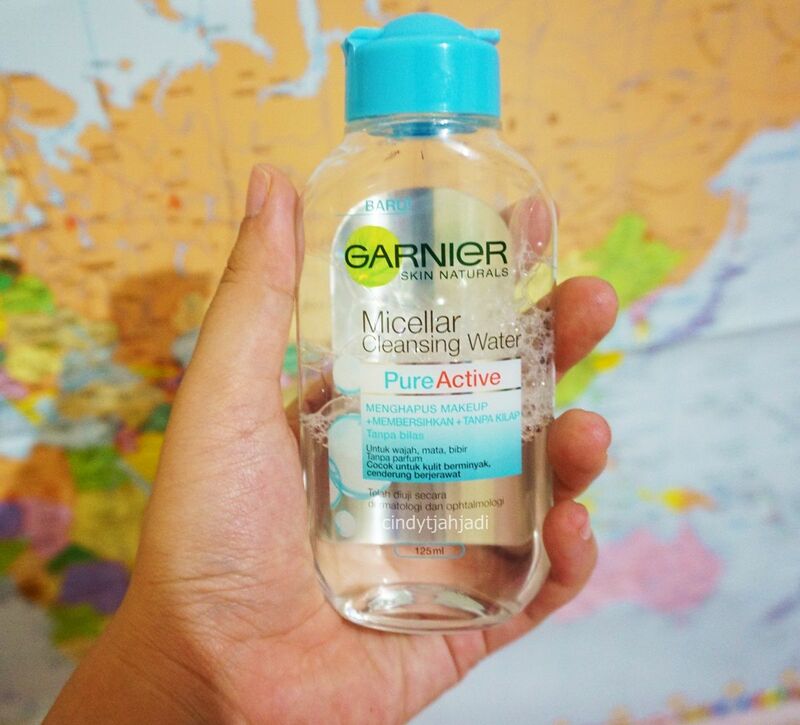 I've used up Garnier Micellar Water for oily skin and pustulate. And. .My comments after used up are. .
5. Easy to find out, mostly at convenience store. Comparing the micellar water by Loreal and Garnier, i'd prefer to Garnier than Loreal after used them up. Same functions and benefits, but Garnier is cheaper than Loreal. That's why i will keep using Garnier Micellar Water up. It really reduced my acnes and pores. It suit me well, so why i must choose the more expensive one. :)) Yasss!! 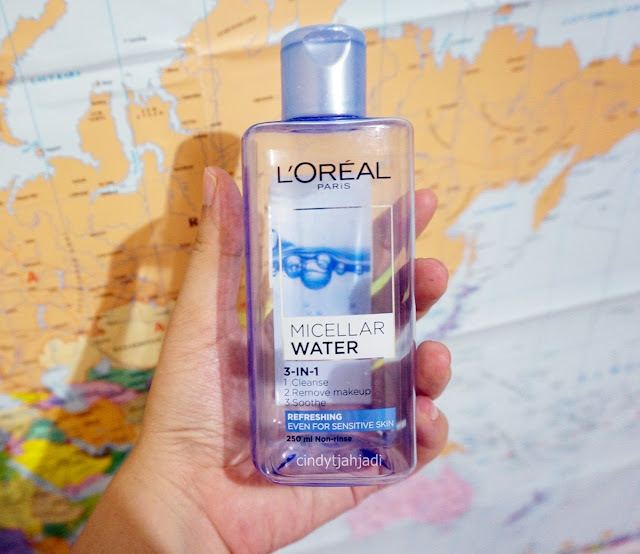 So, that's my review and comments about those micellar waters. The result is depend on the skin. If you have same skin's character which i've mentioned above, you should try it blogs! :)) Have the other great micellar water? Share yours! Share your thoughts on the comment's box below! Support me by Subscribe me! See you on the next beauty corner's post!